We’re back with our Secret Collections series, where we talk to everyday Singaporeans with a slight obsession for books 🤓. 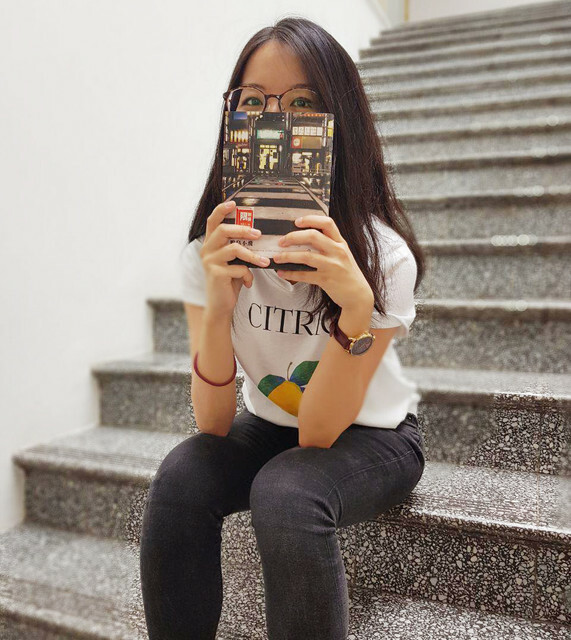 Today, we’ll be interviewing Huiqi, a self-professed bookworm—80% of her time not working, sleeping or eating is spent on reading. She is an ardent manga fan with an impressively wide collection of manga. Check it out! 1. Hi Huiqi, tell us a little about yourself. I work in the arts and culture industry, creating programmes for schools and the general public. I have what I like to call an ‘encyclopaedic curiosity’ of the world (a phrase borrowed from a translator’s description of the essayist Italo Calvino), especially in the areas of history and culture, art, literature, urban geography and pop culture. This is basically a fancy way of saying that I’m interested to know a little bit of everything, but am sadly an expert at nothing. 2. How large is your manga collection? I’m at about 95 individual volumes (19 series) at the moment – I’ve stopped collecting series, but will sometimes still pick up more obscure titles when I’m overseas. 3. What got you into manga? Good question! I suppose manga was integrated into my childhood through, firstly, the Cardcaptor Sakura anime which showed on Kids Central (which I then tracked down the original manga of), as well as through Pokemon. Playing Pokemon (and watching the anime) went hand-in-hand with reading and casually collecting the Pokemon Adventures manga in primary school. I can’t remember how I was introduced to it, but I think the first manga series (outside of Pokemon Adventures) I consciously pursued and read all the way through was Rurouni Kenshin, which really sparked my love of manga. 4. 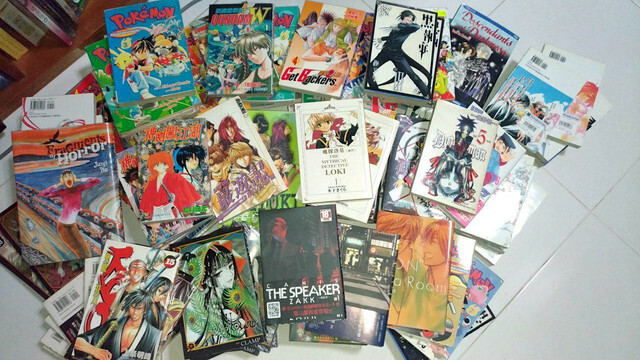 Do you collect manga in series, or do you grab any manga that catches your attention? I’m not hung up on collecting entire series; even for manga that I enjoy, I sometimes grab only the volumes I like the best, which makes my manga collection actually much smaller than some of the ‘otaku’ I know out there. Part of this is because of space constraints and me trying to maximise my shelf space. So my collection is quite eclectic, and you’ll see one or two volumes of something, and then ten volumes of something else. As mentioned, I sometimes pick up more obscure manga that catch my eye when I’m overseas somewhere that offers a larger range of titles. 5. Which manga is your favourite? That’s hard to say, as I read quite widely. But if I absolutely had to pick one, it would probably be CLAMP’s xxxHolic, which features an awkward high-school student who can see spirits stumbling upon a mysterious wish-granting shop and becoming involved in supernatural shenanigans. It’s interesting and humorous, relatable to those of school-going age, but also delves into fascinating Japanese folklore and mythology. 6. Is there a particular manga character that you relate to? 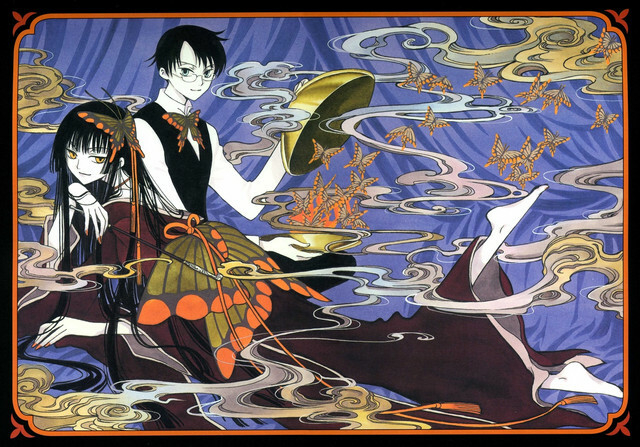 It would be the main character of xxxHolic (mentioned above), Watanuki Kimihiro, I think. He’s socially awkward and clearly out of his depth throughout the series, but always trying his best to do right by his friends and stand by his own principles. 7. What about manga art do you enjoy? That it can be more varied than people think! It’s really quite interesting to see the evolution of manga from the ‘vintage’ 1900s to what we know today, especially for long-running series where the changes are evident from volume to volume. There are manga with exquisitely ornate art, and others that are very stark and sparse. Nowadays, I tend to be drawn to manga with beautiful art, or which look a bit different from the norm (the popular series we tend to think of when we discuss manga). 8. Some readers may think that manga isn’t really reading. What would you say to them? I’m highly opposed to people who try to restrict what other people read or define what is ‘literature’ worthy of reading. The same has been said of superhero comic books, speculative fiction, and Young Adult fiction, that it isn’t real reading. As someone who enjoys all of the above, as well as titles that may be charitably called ‘trashy’ on occasion, I would tell these people to chill and let people read what they want to read. 9. There is a vast number of manga available. What are some you would recommend to a beginner manga reader? This really depends on your interests, as there is such a wide variety of genres and topics covered in manga. I would suggest looking for lists of popular manga and seeing what catches your eye. It might be helpful to know the terminology—shonen manga are marketed for boys, and shoujo for girls. There is also seinen (young men) and josei (young women). Don’t take this as a restriction of what you can enjoy—plenty of girls read shonen and vice-versa, and there are cross-genre manga as well. But the terminology gives you an idea of what to expect; shonen manga focuses on action/adventure and fighting, while shoujo tend to look more at romance and interpersonal relationships. Seinen and josei titles take on a more mature and sometimes psychological slant. For those who like fast-paced adventure titles, you can’t go wrong with checking out the ‘Holy Trinity’ of shonen manga—the long-running One Piece, as well as Naruto and Bleach. They’re famous for a reason, right?